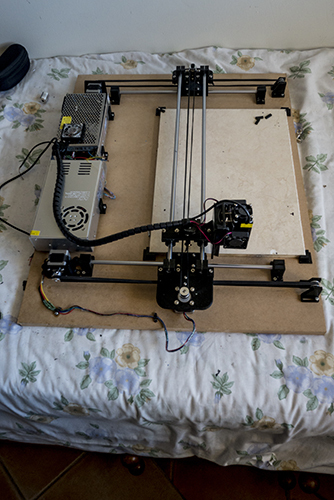 I have just built my very first laser engraver/cutter. I have a 2.5 watt laser, and I don't seem to be able to control the power, it just cuts straight though thin paper, not so much cutting through but just burning a hole. It engrave ok on MDF board. I am using inscape , J tech Photonics laser tool and universal gcode sender. 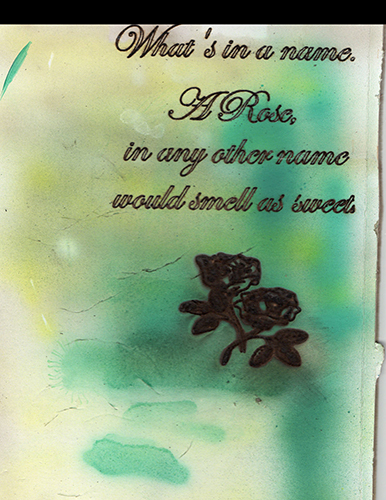 Any special settings I need to make to be able to engrave on art paper and to cut stensils for air brushing. Thanks for any help you may be able to give. Edited 1 time(s). Last edit at 11/08/2016 11:42PM by erniehatt. To control power you need PWM compatible laser driver. to be honest I would not have a clue as to what driver it has, it came as a package, with laser heatsink and fan. So as it stands, it's just about useless. Edited 1 time(s). Last edit at 11/09/2016 05:46AM by rastaman46. and you have your laser eye protection ON. Thanks for the link, just how difficult is it to make the necessary changes. I am not a technician of any kind, just a hobbyist. What hardware controller are you using? What firmware is running on the controller? Have you read through Jphotonics web site? To control the power you need to know what pins the laser is connected to. M3 is the connection pin in the software ( you need to change this if the laser is connected to a different pin.) and S255 is the power setting and goes from 0 to 255 and is the setting you need to change. This could be done in the pluging or may need to be altered in the gcode file with a text editor before you send it to the laser. Edited 1 time(s). Last edit at 11/10/2016 01:06AM by GRAYWOLF. The laser machine, is homebuilt. The laser I don't know to much about, so I can only give you what was on ebay. The controler is an Arduino Uno and a CNC shield, the firmware is GRBL latest version. from there to the Z endstop socket, not sure which pin on the Uno that is. I have copied the Jphotonics pages, but have not completely gone through them as yet. the figures, but it made little if any difference. it just burns it completel out. The only info on the laser is what was on ebay. Suitable for industrial laser engraving machine equipment usage. PS. I think that the laser could be connected to pin 12. Edited 2 time(s). Last edit at 11/10/2016 03:18PM by erniehatt. ... with my modules I'm setting the max. possible power by adjusting the current to around 90% of the nominal power (e.g. 1,5A instead of the nominal max. 1,7A of the blue 2W-diodes) - but the "effective engraving power" is then defined by specific pulse-length for the emitted pulses -- what's with the [email protected] mostly in the range from 5 microseconds (only "marking" cardboard with up to 100mm/s) to 400 microseconds (cutting through and then much slower moving speeds, so the pulses won't overlap). Lets see if I have got this, my knowledge on it is limited. It seems I have got my laser connection wrong, you say connect it to X/Y step pulse, I have been looking around for info and have found that some use the Z pulse step, is this the same thing. Adjusting the current, would I be needing an additional power source for the laser, at present I am using the same supply for everything. Edited 1 time(s). Last edit at 11/10/2016 05:12PM by erniehatt. using Z-step or -dir is only for simple ON/OFF switching, where you activate the laser for drawing a line and switch it off, when line ends. With this methode you'll get the previously mentioned "acceleration artefacts", where slower moving at start and stop of the line will burn more, while faster speed along the line will burn less ... so you have to engrave or cut pretty slow to avoid any acceleration or speed changes. For engraving with constant "burning power" along lines you either have to adjust the laser power synchrone with speed changing, or use a "speed independent" methode. I've developed a "XY-step-pulsing hack" with my first laser-cutters around 1986, where every step pulse from either the X- or the Y-axis-driver will generate a laser pulse, so the effect is not related to speed, but to step resolution only. ... adjusting the current is done inside the driver - most laserdiode drivers are built around a constant current driver, which will set the maximum power, and then a modulation circuit, which either only switch the current ON/OFF with an input signal of 0V/5V, or reduce the current accordingly with an analoque voltage between 0-5V or a PWM input signal, which is averaged and read as analogue. Had a look at the link on the previous post, And I could make a board for that. I have to get my head around this..
1) I see it runs off of 5v fine, they should not affect the 12v needed by Laser, I think not. 3) would this eliminate the Mosfet circuit, I think it will..
... yes, switching the PS ON/OFF to modulate the laser is a bad idea -- this will generate heavy overcurrent "spikes", what's drastically reduces the diodes lifetime. A proper constant current driver "receives" the 12V voltage from the PS, but regulates on his own the output to a set current through a shunt resistor. The laserdiode is set in series with this shunt resisitor, so will get the same current. The current modulation is mostly made with a MOSFET, switching the voltage+current through the laserdiode and the shunt resistor. Now the "trick" is to regulate the current to the set value without "overshoots", and when switched OFF, without "undershoots" too, as they will cause even more damage to the laserdiode. Better common drivers with fast regulating can be switched with up to 100 kHz with much lower "overshoots" with only some ten Milliamperes. As I'm modulating my lasers with up to 1 MHz and currents of up to 20 Amps, and laser-drivers in this category are pretty expensive (some thousand USD), I've started to build my own ones. Cosmicray, the info I have on the laser is posted earlier in the piece, I have no further info on it. Edited 1 time(s). Last edit at 11/11/2016 06:01AM by erniehatt. I have read that link twice, but must say I am somewhat lost. 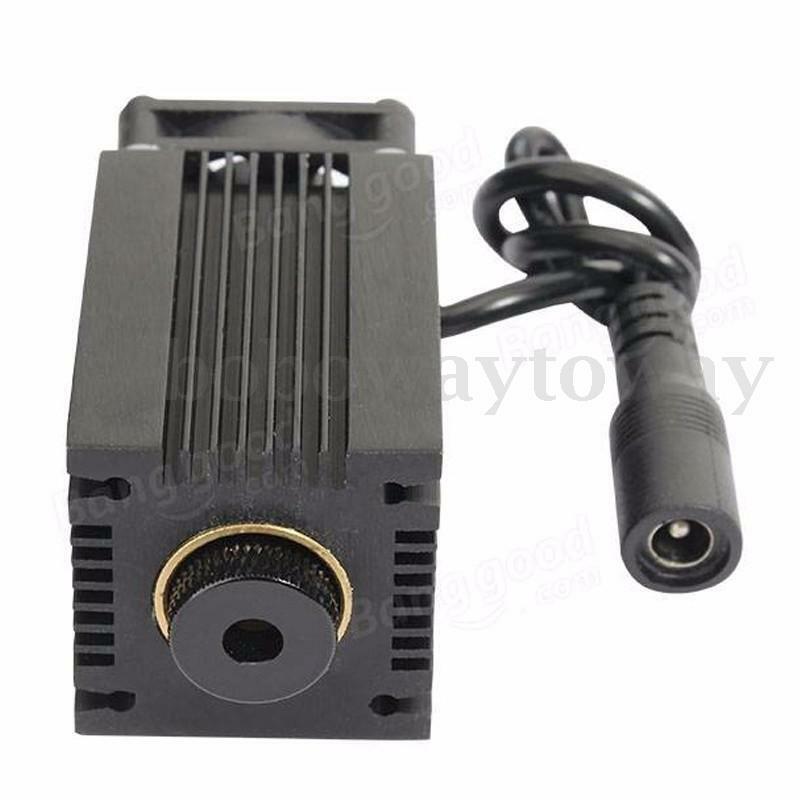 I have no wish to go delving into the inners of the laser module, for one my budget does not go far enough to replace it if I break it in any way. Is there some way I can do this with an external circuit of some kind. If not I will just have to stick to engraving hard surfaces, until it fails. If I am reading things correctly, my Mosfet circuit is no good. Edited 1 time(s). Last edit at 11/11/2016 01:57PM by erniehatt. ... you have to identify and understand your parts, so you can find a driver for them with correct infos and documentation .. Yes Ok,, doesn't help me much does it. I tried connecting to x/y steps, did nothing, connecting to dir did turn on the laser, so I suspect that's the same as connecting to the Estop. If identifying my parts mean pulling it apart, at 81 I might as well give it a miss. thank you very much. ... the DIR pins changes only when the moving direction of the axis changes, but don't generate pulses. It seems, the X/Y-pulses of your board are much shorter than the activation time of your laser-driver, so teh laser won't light up -- here you'll need a circuit to make the pulses long enough. Thank you Victor, can you give me a circuit diagram. started with same laser head without a driver. all the info in TTL modulation help needed thread! No time has not been wasted getting it going, it engraves very well on thick material, it wont just work on thin stuff, which is why I started this thread.and I don't consider I have not achieved anything, I have built it and it does work. I agree with the laser being junk.see scan of my first effort, I call it an achievement. That is good advise, but at the moment it's not in my budget. (all the info in TTL modulation help needed thread! Please, can you show me where I said I couldn't follow or I didn't understand it. What I said was that I was not prepared to pull the laser apart, that still stands. Edited 3 time(s). Last edit at 11/12/2016 04:57PM by erniehatt. Look for rig that has a Laser diode head and a driver board. A driver board that has trigger connection -- so you may PWM the laser. Look at JTech Photonics web pages. adjustable Driver board with trigger capability. Laser diode with good focusable lens. Are you wearing red laser safe protection? Don't want to recommend white cane seller! I thank you for the info concerning the lasers. So I make an error in my choice of diode, even as we age we do tend to make them, I suspect you have made your share. Yes I do own the glasses. I just realized I have and old 0 .5 watt laser that I used to use to trigger my camera for high speed photography, I may have a look at opening it up to see how much of a problem it will be. Edited 2 time(s). Last edit at 11/14/2016 01:57AM by erniehatt.